When it comes to lifting and tightening sagging skin, surgical facelift is not your only option. If you want to look younger but are not ready to go under the knife, a PDO thread lift treatment in Singapore is a great alternative. This procedure can give you natural-looking facelift by safely and gently elevating loose skin, with minimal to no downtime. At Cutis Laser Clinics in Singapore, we use Dr. Perfect V Line Thread Lift, which is a stronger and a more effective type of PDO thread. This minimally invasive procedure involves the insertion of PDO (polydioxanone) threads in the deeper layers of the skin to immediately lift saggy skin and give you a youthful appearance. Depending on the area of concern, Dr. Perfect V-Line threads can be inserted into the skin (subcutaneous fat layer) or the superficial muscular aponeurotic system (SMAS). The inserted PDO threads will then trigger the self-healing process of the skin to stimulate collagen production and improve the quality of the skin. The body naturally absorbs the threads within six to eight months after the procedure. 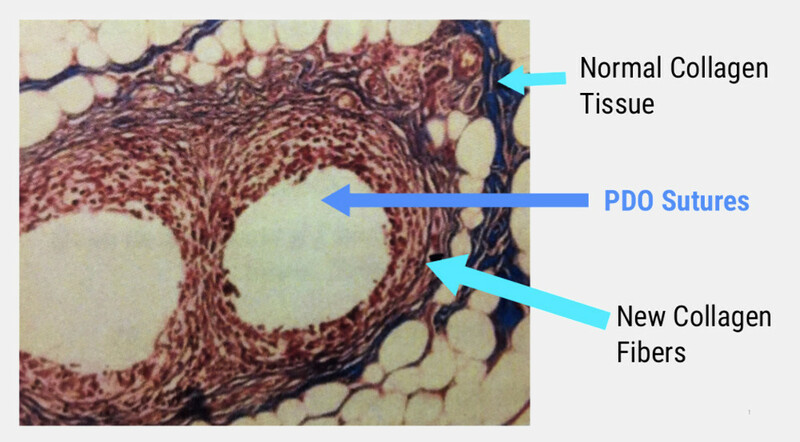 And as the collagen starts to form around the threads, you can notice a natural looking lifting effect. Over time, the skin becomes firmer and tighter, with smoother fine lines. The Dr. Perfect V-Line is available in different thread sizes to accommodate lifting and skin rejuvenation. The thin mono threads which include the Multi-Threads are suitable for skin rejuvenation. The Multi Threads are about 14 strands of strong sutures tied to guiding threads that are simultaneously inserted in the skin. This reduces treatment time and injection points. Whereas the thicker 4D 360-cog threads offer a stronger lifting effect for sagging cheeks, lower face, and double chin. They also provide fast recovery with immediately visible and natural results. PDO is also preferred than PLLA (polylactic acid), as it is stronger and provides a better lifting effect. It can enhance and improve the appearance of sagging neck, jowls/cheeks and loose neck area. It can also be combined with dermal fillers to address not only loose skin, but also volume loss. In most cases, a typical Dr. Perfect V-Line procedure can last for about 90 minutes which include the application of numbing agents. However, this will still depend on the number of areas to be treated and the number of threads required. After the treatment, you will notice an immediate lift in the treated area. It is normal to have a pulling sensation after the procedure and you may also experience some bruising and swelling but these are only temporary. If bruising is present, it may last for at least 10 days. Our aesthetic doctor will also provide you with several aftercare instructions that you need to do at home. We also schedule a review at least one day after your procedure to check the area. While there is no downtime and most patients can go back to their activities after the procedure, it is advisable to avoid strenuous activities for about two weeks. The threads used in Dr. Perfect V-Line are both KFDA and CE marked. They are made of absorbable PDO (polydioxanone), which has been used in medicine (mainly in surgery) for many years. It is important to know that our PDO threads are safe and do not produce any allergic reactions. 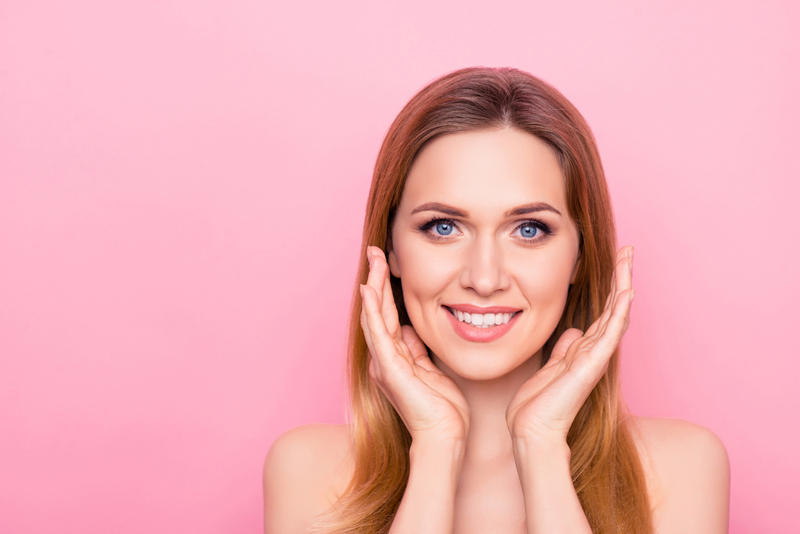 While the results vary from patient to patient, it is noted that the effect of the treatment can last up to two years or as long as your collagen produced holds the lift in your skin. Keep in mind that your lifestyle can also affect the duration of the result. For example, frequent smoking speeds us the aging process as it breaks down your skin’s collagen rapidly. Moreover, consistent consumption of food that is high in carbohydrates and sugar can also contribute to faster collagen break down. If you want a natural-looking facelift without going under the knife, consider the Dr. Perfect V-Line procedure. 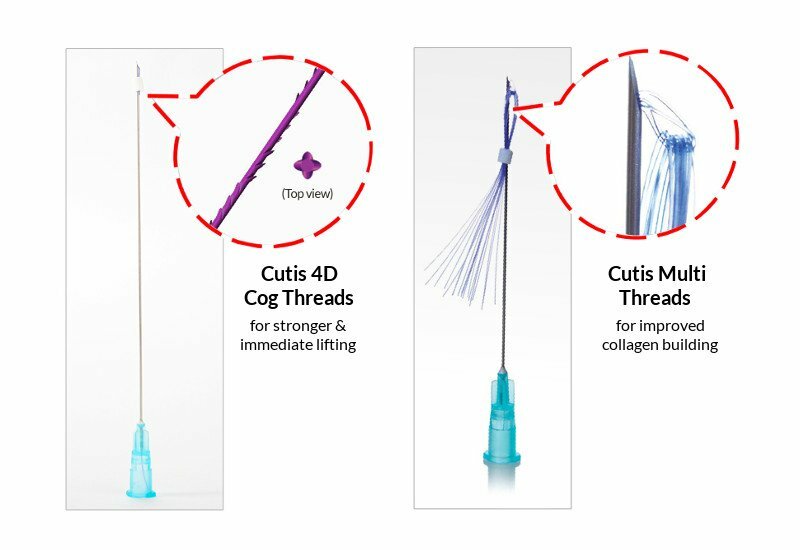 Contact Cutis Laser Clinics in Singapore today and schedule a consultation with our Harvard-trained aesthetic doctor, Dr. Sylvia Ramirez, to learn more about PDO threads.